It's a pleasure to welcome everyone, to The HOUSEBOAT INSIDER. We truly appreciate all the subscriptions and support that we get here. There's a lot of new updates, so be sure to spread the word around. & press send. With your help & support, we can all grow together. Well, you may notice that we have changed to an easier-to-read format. This came about due to reader response, and to improve the readability so that more of you can take advantage of it. Let us know your thoughts. How to easily Screen the Houseboat Classified Ads! Ever go and visit a Boat For Sale, and realize you wasted your time? Well this article will cover some of the Basics, Questions to Ask, Sources for Ads, and there's also a bonus included for our reader's. Fixed the link for "Julie's Got a Crush on Houseboat" video. If you weren't able to see the video "Julie's Got a Crush on Houseboats" from www.boaters.tv because of the broken link, it now has been fixed, and you can view it here. It's very well done, and worth your time. The great Places & Things To Do, on a Houseboat Vacation. So many beautiful places to have a great holiday rental. Whether it's a family gathering, or a honeymoon, any reason is good to start planning a trip. A good video showing the cool Things To Do out on the Lake. The incredible beauty of Lake Powell Houseboating. Lake Powell is one of North America's hidden treasures. With over 1900 miles of deep shoreline just begging to be beached, this video will give you a great perspective. A must see for anyone contemplating the area. A free gift, a printable 2008 Houseboat Calendar. 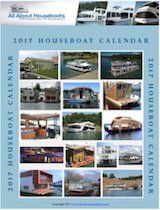 If any readers missed the bonus Calendar for subscribing to The Houseboat Insider, here is the link to download it. Once the window opens, click the "Save a Copy" button on top, and save it to your desktop. Curious to know more details about the Calendar, click here. The amazing backwater Houseboats of India. If your nowhere close to India, than this is the next best thing since it will give you a taste of the culture, scenery, and their unique houseboats. There's also a short video that helps you visualize the surroundings. Tips and Ideas for a successful Houseboat Rental. If your in a cold climate, than now is the time to start preparing the details for your Family Holiday rental. We assembled a list of Questions, Tips, and Ideas to help in making it a trip to remember for a lifetime! Do you prefer a Blog - RSS to stay updated. Many of our reader's are using a RSS Reader and enjoy having the latest news come directly to them as soon as it's "out of the oven" so to speak. Then check out our Blog page, and click "follow the instructions", to learn more, and get yourself a free RSS Reader program to use. Only 2 months till The Houseboat Show!